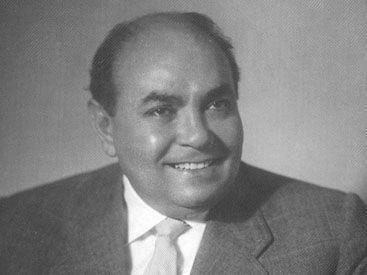 The best songs of an outstanding composer, conductor, State Prize laureate, People's Artist of Azerbaijan Said Rustamov (1907-1983) will sound in Baku. People's Artists of Azerbaijan Nazaket Teymurova, Azer Zeynalov, Gyulyaz Mammadova, Samir Jafarov, Gyulyanag Mammadova, Honored Artists Ilgar Muradov, Lala Mammadova, Anar Shushali, Almaz Orujova, Teyyub Aslanov, Zohra Abdullayeva, Ehtiram Huseynov as well as Nadir Gafarzadeh, Sarkhan Bunyatzadeh, Hayam Nisanov and others will perform the songs of great composer in Heydar Aliyev Palace on March 14, Trend Life reported. The concert will be accompanied by the Azerbaijan State Orchestra of Folk Instruments and the State Symphony Orchestra named after Niyazi. Said Rustamov's creative work is closely connected with Azerbaijani musical folklore. Widely using mugham, ashug music and folk songs, he created a kind of musical language. He wrote lyrical, patriotic songs, as well as songs dedicated to the world and work. Rustamov is the author of musical comedies "Besh manatlig gyalin", "Durna" and "Wife of the Chief". He is the author of a number of teaching aids in the Azerbaijani language, various folklore publications. He also recorded Azerbaijani mughams Rast, Shur, Segyah, Chargeyah, Bayati-Shiraz, etc. From 1935 to 1975, he worked as an art director and chief conductor of the State Orchestra of Folk Instruments. In 1940-194, he directed Azerbaijan State Philharmonic Society. In 1949-1953, he was chairman of the board of the Azerbaijan Composers' Union. The price of tickets is 10-60 AZN Tickets can be purchased at all ticket offices of the city, ASAN Service Centers, Genclik Shopping Centers, 28 Mall and website : www.iticket.az.